Nigeria’s effort to diversify the economy appears to be yielding results with increased revenue from cashew nuts and other agriculture products’ export. The Minister of Agriculture and Rural Development, Audu Ogbeh, during a presentation on Thursday at the National Economic Council meeting said that the country’s agriculture exports in the second quarter of the year were largely driven by the export of cashew nuts which he said was worth N13.5 billion. Mr. Ogbeh was briefing the NEC on Nigeria’s “Strategic Export Initiatives” which is a framework and action plan to grow and diversify the export of agro-products. The NEC meeting which is chaired by the country’s Vice President Yemi Osinbajo, has all the state governors, including the Minister of the Federal Capital Territory, and the Central Bank of Nigeria, CBN, as members. Nigeria has been under pressure to diversify its economy because of the crash in oil price. Also, the world is increasingly turning away from oil. The N13.5 billion earnings from cashew nuts, according to the minister, represents 45.4 per cent of the total agriculture exports and 1.37 per cent of the country’s total exports for the quarter. Cashew nuts export to Vietnam was N12.16 billion, the biggest so far, while India and Kazakhstan were N1.4 billion and N6.34 million respectively. Mr. Ogbeh informed the council that sesame seed exports in the second quarter was N7.0 billion, representing 23 per cent of the total agriculture exports. The major export destinations for sesame seed were Japan, N1.3 billion; India, N0.9 billion; Turkey, N0.9 billion; South Korea, N0.8 billion; and China, N0.6 billion. Frozen shrimps and prawns’ export was N1.6 billion, representing 9.6 per cent of the total agriculture exports. The major export destinations were Netherlands, N1.5 billion; Belgium, N0.67 billion; United States, N0.22 billion; France, N0.17 billion; and Spain, N87 million. 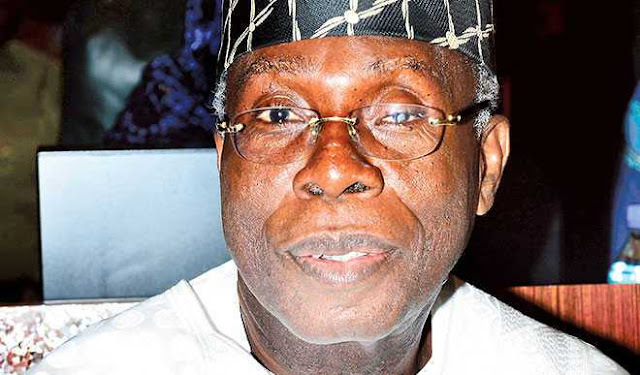 Spain was a major export destination for Nigeria’s soya-bean flour and meals, for the second quarter of the year; the export to Spain alone was worth N2.1 billion, the Minister, Mr. Ogbeh, said. N116.6 million worth of soya-bean flour and meal was exported to Ghana in West Africa, while Senegal, Mauritania, and Germany were N72.9 million, N18.1 million and N2.0 million respectively. Other agricultural exports within the second quarter are as follows: ginger, N663.7 million; flowers, N568.5 million; peanut kernels and other groundnuts, N481.3 million; and milk and cream powder, N282.4million. Mr. Ogbeh said the total value of the trade in agricultural goods in the second quarter of the year was N261.92 billion which is 4.60 per cent of the total trade in the quarter. He told the council that agricultural exports had increased by 82 per cent in the first quarter of 2017, while export earnings from agricultural goods stood at N30 billion for the same period. The discussions at the NEC meeting focused mainly on how the country could significantly improve and drive its non-oil export. The Nigerian Export Promotion Council made a presentation to the NEC on its “Zero Oil Plan” – an ambitious plan to steer the nation’s economy completely away from oil.